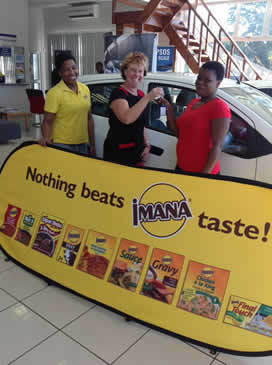 IMANA has been at it again, doing what we do best, rewarding our customers for their support of the IMANA brand and our products. 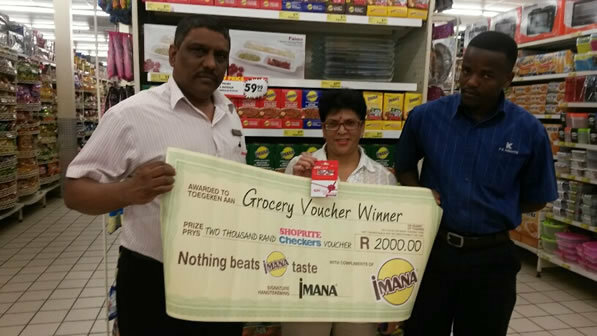 Congratulations to our first winner drawn on 12 June, Sphiwe Mdletshe from Hlabisa, who bought her IMANA Soya Mince from Shoprite Mtubatuba. 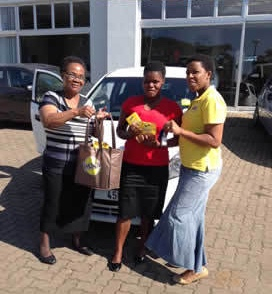 An ecstatic Sphiwe is pictured here with IMANA FOODS KZN Regional Manager, Charmaine Chelin and IMANA FOODS Promoter Co-Ordinator, Nonhlanhla Mapotse, receiving her car at the local Chevrolet dealership. 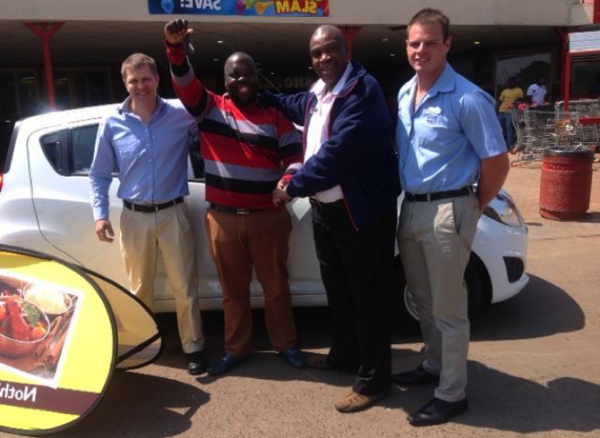 On 31 July, as the second highlight of our promotion, our second, overjoyed winner of a Chevrolet Spark received the keys to his new car! 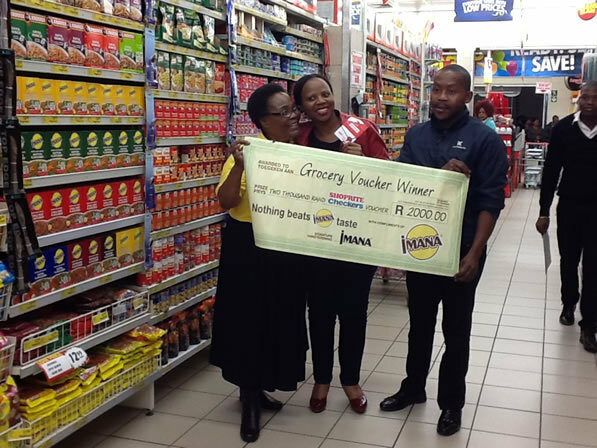 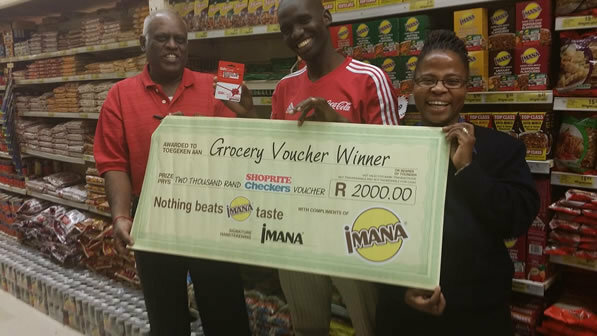 James Baloyi, bought his winning IMANA product at Shoprite Louis Trichardt, Limpopo. 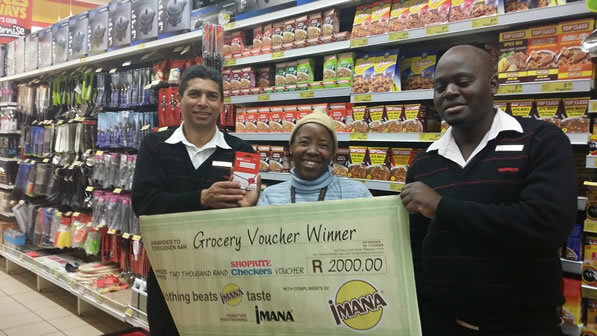 He is pictured with the Shoprite Store Manager and IMANA Foods Gauteng Regional Manager, Greg Leisegang.